An example is presented to illustrate the way Advance Design exports geometrical and loading data to Advance BIM Designers Footing. The model consists of a reinforced concrete column resting on a fixed rigid point support, as in the image below. Loads are expressed relative to the column local axes. 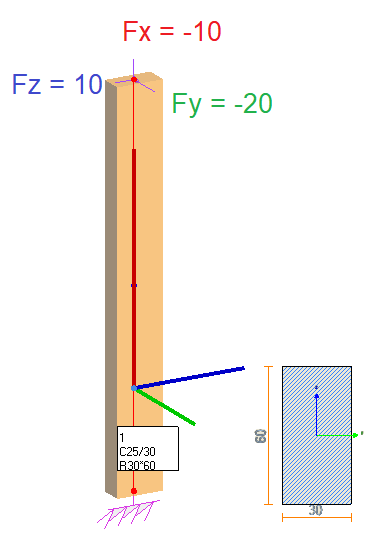 The Footing dimensions are established in the point support Properties list in accordance with the local axes of the column. a – is the width of the foundation block (footing); it is considered along the y local axis of the column above. b – is the length of the foundation block (footing); it is considered along the z local axis of the column above. h – is the height of the foundation block (footing); it is considered along the x local axis of the column above. 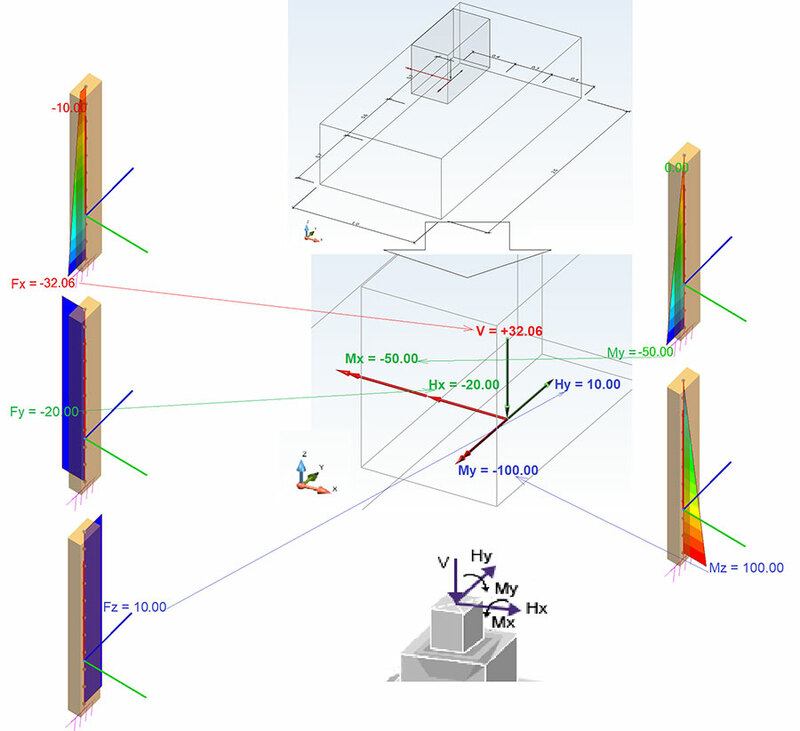 After the FEM (finite element method) calculation, the footing is exported to Advance BIM Designers Footing. The geometry of the footing is transferred from Advance Design to BIM Designers in accord with local axes directions of the column above it. The forces acting on the foundation are produced by the column and Advance Design displays them according to the linear elements conventions (see “Linear and planar elements conventions” section in Help). When transferred, they are converted to follow the BIM Designers convention. The loads are transferred from Advance Design and adjusted to the BIM Designers convention and axes, keeping the global effect on the foundation.